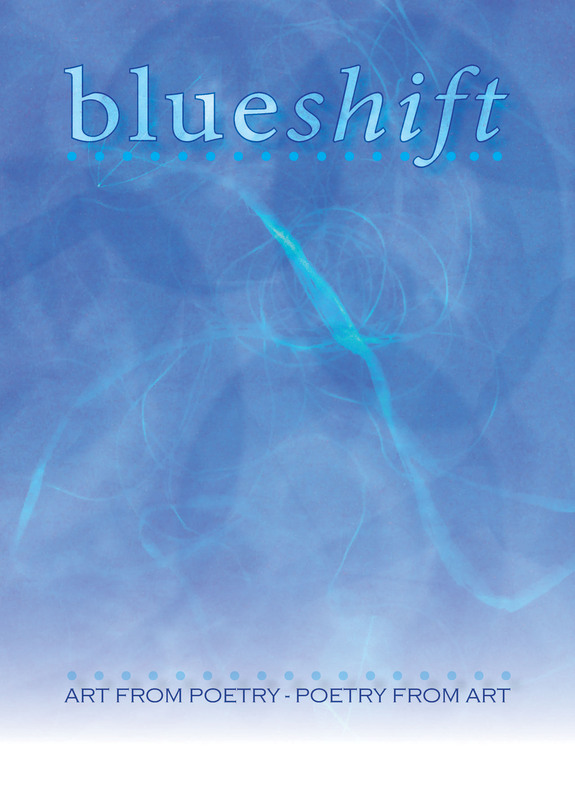 Blueshift (longlisted in The Saboteur Awards 2016) is a continuation of the chain of responses in the Book of Sand pamphlet. It begins with an artistic response to Book of Sand’s final piece, the poem Corvus by E.E. Nobbs. The resulting artwork was given to a poet to respond to, whose poem was given to a different artist to respond to and so on, resulting in a sequential series of poetry and art. 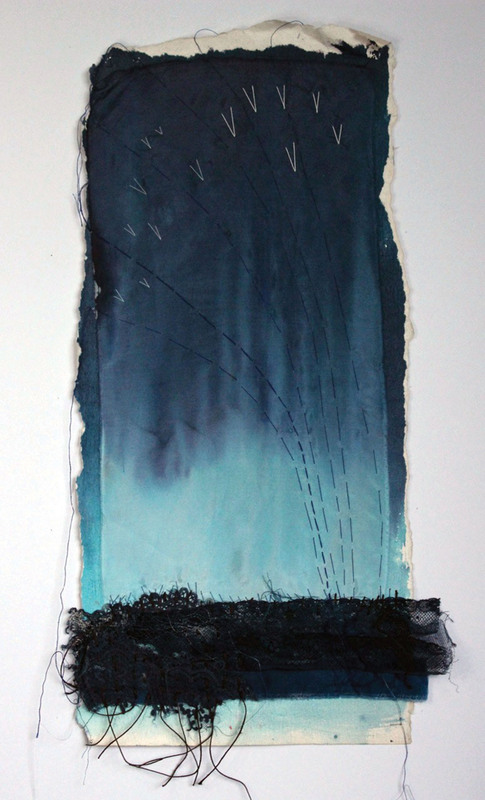 This collection takes its name from Pam Job’s poem, Blueshift, a response to Tessa Frampton’s artwork, both featured below. Poems by Stephanie Arsoska, Becky Cherriman, Claire Collison, Rebecca Gethin, Agnes Marton and Pam Job. Artwork by Claire Collison, Sheena Drayton, Lizanne van Essen, Saras Feijoo, Tessa Frampton, Pete Kennedy, Sam Smith and Emmy Verschoor. It takes a relatively small blueshift to move you towards me. these in their temerities will float us through galaxies . . .
and the black earth beneath you scented with ragged mantillas. sifting the words of your siguirillas and making them their own. Eventually, everything wings its way back to blue, me. You.